Modern Whimsy is the theme for this month’s bridal/vendor mixer. 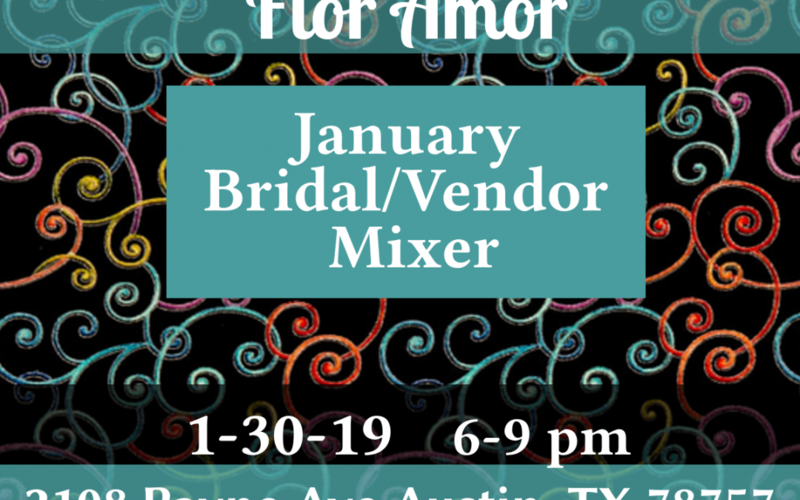 Come join some of Austin’s top wedding and event industry professionals and engaged couples in a fun, casual non-sales-y environment. From an early age, Ashley recognized that photography was her life’s passion. For years she practiced her craft on her family, friends, and anyone who had a free afternoon. Since then she has turned her passion into her profession, with over six years of experience photographing weddings, private parties, portraits, and various other types of events. She is a graduate of the Art Institute of Houston and came from a large family; She understands that the little moments can be just as meaningful as the big ones. She adores being around children, families, and brides on their big day! She has a particular knack for capturing the love that can be expressed during candid moments. Nature is such an inspiration for her and photography has made her appreciate the little details in life. When possible, she prefers to have portrait sessions at the golden hour of sunset. This allows her to use natural light, which softens the look of these images and gives them a distinctive quality that won’t be easily replicated. Most of all, she understands that a good picture doesn’t just document an event. It captures a moment in time. 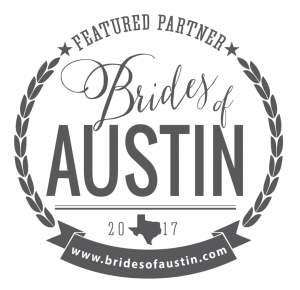 Are you searching for the best Austin wedding DJs who know how to keep your dance floor packed and help you and your guests have an amazing time at your wedding? The search is over! Austin’s Best DJs are internationally known and recognized, award-winning wedding & event professionals. They know your wedding day is one of the most important days of your life! Their DJs and team will strive to ensure that your wedding goes just the way you envision it. Their goal is to execute your vision of your wedding day, flawlessly. Each wedding they do is as unique as each couple they meet. They work hard to create a fun, memorable experience for you, your family, and your friends! As certified wedding & event planners, Diana & Jason are prepared to work diligently, with you, to plan and discuss every moment of your wedding/event, in detail. It’s important for them to get to know you, so they can weave your unique preferences and personality into your special day. They’ll play the song that was playing when you first met your significant other, the best songs from your high school & college days, and all of your favorite songs and artists that you, your family and friends, love! As a boutique DJ & entertainment company, they are 100% committed to giving you the personal, undivided attention that your wedding needs. 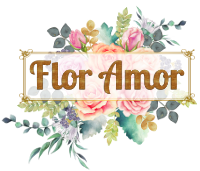 They provide exceptional services for a very limited number of monthly events, in order to ensure they provide a fun, memorable experience, for every wedding, every time! They only choose to work with select weddings/events that are the best match for your needs and their team. They’re proud to be Austin-owned & operated, fully insured, and with over two decades of experience and thousands of happy clients, you’re in good hands with Austin’s Best DJs!